There are countless platforms that allow football clubs to entertain their followers and interact with them. Nevertheless, a social media manager needs to take on the challenging task of assessing, implementing, and build upon the platforms that can reach the most valuable stakeholders in the most effective manner. Currently, platforms that feature videos are said to be valuable tools. Before we discuss what kind of interactive video content a football club can or should produce in order to engage with its users, we will elaborate on the potential for interaction through social media in the context of the football fan. The last section of this post will discuss how the ‘sportv’ approach by Ben Goldsmith, can be applied to the range of content/formats for the Periscope presence of a football club. The keyword we can detract from the above-mentioned definitions is ‘interactive dialogue’. NFL.com encourages viewers to engage with NFL Films programming in ways other than simply watching it (Vogan, 2014:171), especially, since perhaps the most important effect of new technologies of home computers, Internet, satellite television, and digital transmissions has been greater audience empowerment: Individuals use technologies to become actual participants in the sport communication process (Newman et al., 2013:26). As discussed in the previous section, interactive dialogues are an imperative pillar in the foundation of social media. Hence, dialogues on social media are most enjoyable when they flow; from one person to the other and build upon previous statements, questions, or answers. But then, a legitimate question arises: Which social media platform can provide the most fertile ground for such an interaction? Gary Vaynerchuk (2013:85) explains that Twitter primarily rewards people who listen and give, not those who ask and take; and if there has ever been a platform where engagement and community management have power, it’s this one. In support of Vaynerchuk’s statement, Newman et al. (2013:54) note that Twitter is the largest real-time social platform in the world; and, while it’s true that Facebook is the largest social website in the world, it lacks the inherently open, nearly instantaneous nature that Twitter offers to all users. In March 2015, Twitter provided its users with an improvement in such interactions: Periscope. Googling the question ‘What is Periscope?’ the first search result, a Marie Claire article by Georgie Barrat (2015), answers the question as follows: Periscope is a “live video streaming platform”, which basically means you can transmit a live recording of yourself to your Persicope and Twitter followers. Imagine Skyping someone, but instead of video calling a single person, you’re instead linked up to the whole community. Not only that, whoever’s watching you can comment and ask questions. These show up on your screen whilst broadcasting making it easy to answer and interact. Rhiannon Williams (2015) quotes the Periscope website that explains, “It may sound crazy, but we wanted to build the closest thing to teleportation. While there are many ways to discover events and places, we realised there is no better way to experience a place right now than through live video. A picture may be worth a thousand words, but live video can take you someplace and show you around.” But what content can a football club create on Periscope other than the usual behind the scenes? The job of a social media manager for a football club is not over after choosing a new social media platform. Next steps include – amongst others – defining the context, format, and content suitable for said platform to attract and retain the attention of the followers of the club. These are the 7 types of sportv as suggested by Ben Goldsmith. In his 2009 article Sportv: Beyond the Sport Event, Ben Goldsmith explores a quintessential form of television, which he calls ‘sportv’: a diverse range of sports-related programming and content that has been almost completely overlooked by scholars of the media, and television studies in particular until recently. 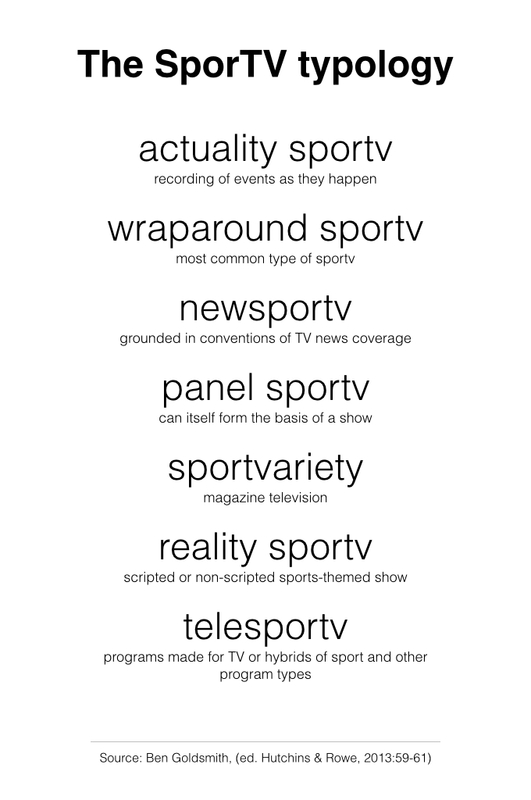 In this section, we will discuss the typology of ‘sportv’ and how the suggested content can be adapted to Periscope. Actuality sportv, or sports event television consists of coverage of sports contests and events that exists beyond television, or will happen whether or not television cameras are present (Goldsmith, 2009). In reference to traditional television programming, actuality sportv refers to the live-coverage of events as they happen; perhaps the most prominent being behind-the-scenes coverage. 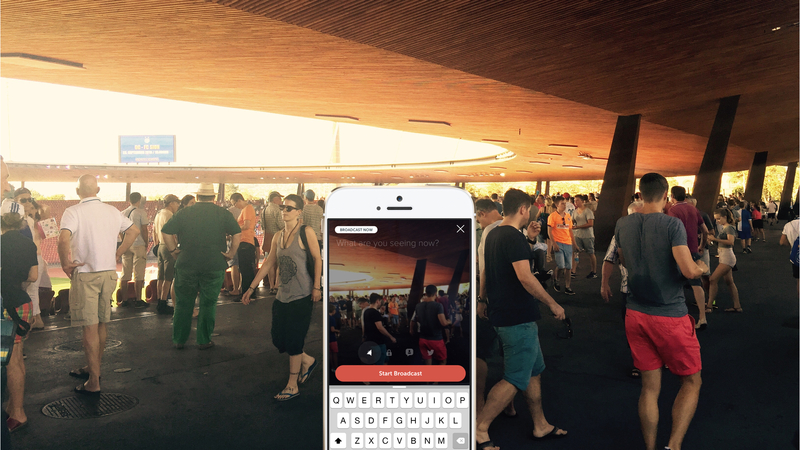 The Periscope app does only allow live-broadcasting of events; pre-recorded videos cannot be uploaded. Therefore, actuality sportv on Periscope in regard to football is limited to footage of real-time events, for example, behind-the-scenes footage from the arrival of a new player (as done by Manchester City), pre-match preparations/training (as done by Orlando SC), or post-match interviews (as done by football journalists in the MLS). This category can easily be taken advantage of by any football club. The social media manager can broadcast whatever is happening in or around the premises that could be of interest to followers and fans. There is no script necessary to stage the live-broadcast. It is questionable what the impact of such a broadcast is, or how valuable such content is. Nevertheless, it provides a pair of eyes to potentially thousands of fans all around the globe. Goldsmith (2009) explains that wraparound sportv envelops actuality sportv and consists of pre-event introductions and interviews, commentary including special comments, mid-game analysis, post-game highlights and on-ground interviews. In a television production setting, wraparound sportv would include pre-recorded material, which is not viable for Periscope. The above-mentioned content would have to be carefully organised, thoroughly structured, and exactly timed before the live-broadcast on Periscope to provide a high level of quality for the audience. This will require human resources such as a project manager/producer, an interviewer, and a Periscope operator (aka cameraman), in the least; not to mention potential guests for comments or analyses. The wraparound sportv category will not require a script per se. However, a framework within which the producer can concretely time individual segments should be considered. As suggested by Goldsmith (2009), newsportv draws on the conventions of news coverage and contains two main types: a) rolling sequences of short news items introduced and connected by a voiceover, b) a show typically filmed in a studio that involves one or more on-screen presenters reading sports news from an autocue, introducing short reports, and providing live voiceover for highlights. Given the technological limitations of Periscope neither of both types of formats are suitable for newsportv in its traditional form. Both, type a) and b), necessitate the possibility of pre-recorded video playback, not offered by Periscope. Nevertheless, a live show that provides news messages is a viable form for Periscope. In addition, a board or chart could be set up next to the presenter, where still images underline the messages read by the presenter. An additional idea is to use a computer monitor. However, this needs testing, since often computer monitors produce flicker when being filmed with a smartphone. In that case, I suggest to refrain from using a monitor to keep a high quality of the show. Panel sportv includes a panel of sports pundits, often current or former professional sports players, journalists and commentators, and often led or hosted by a sports journalist or network star, can itself form the basis of a show (Goldsmith, 2009). Closed and quiet room: Because there will be multiple people in the panel, the smartphone will be placed further away from the group than if it was only one person to be filmed. Therefore, the audio will be weaker. Any additional audio source will influence the quality and level of the main audio source – the speaker – which is supposed to be featured. Because of that, it is essential to produce the talk in a closed and quiet room. Tripod with mount for smartphone: The panel will include multiple people. Hence, the camera (smartphone) will have to carefully follow the audio source (the momentary speaker). In order to provide the best possible viewing experience for users on Periscope, it is crucial to use a stable tripod with a mount that can hold the smartphone in a high-rise (vertical) position. Also, the tripod has a rotator that allows the camera operator to follow the audio-source smoothly. Sportvariety is magazine television, comprising a series of short segments that may include news; expert commentary; light-hearted interviews; clips of sports events usually chosen for comic value rather than as highlights of significant moments; or sports-themed contests, and might involve sports professionals, celebrities and ordinary people (Goldsmith, 2009). The format can be regarded as a mix between newsportv and panel sportv with the technological demands of panel sportv. I can see the potential for a sportvariety show on Periscope given the light-hearted and rather humorous nature of such a show. Nevertheless, I see challenges in the production process because of the technological limitations of the app. Reality sportv encompasses sport-themed reality television programs (Goldsmith, 2009). 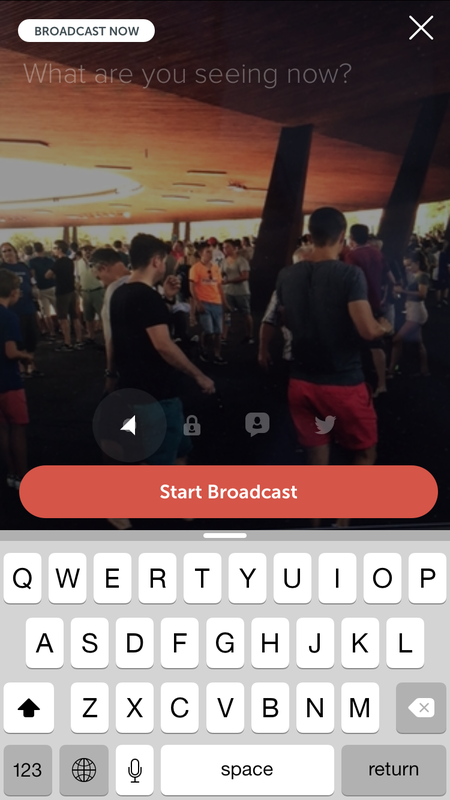 Basically, anyone can create a reality sportv program on Periscope. It is in the nature of social media and the Periscope app. For football clubs, I see the appeal in regard to handing over their Periscope account to their players or staff for a segment such as ‘15 minutes in the life of a football player at FC abc’, or ‘The morning routine of a goal-keeper at FC abc’. The host of the broadcast could offer insights into their real life at the club (behind the scenes) and answer questions from viewers in real-time. There are no challenges in regard to technology, since the host will simply hold the smartphone and show the viewers around, just as if she or he were skyping or facetiming with a friend. I claim, this is the format Periscope was intended for. Telesportv includes sports events staged for television such as pro-celebrity tournaments. I do not see the appeal for any football club to stage such a show on Periscope. Therefore, we will not discuss the format further. Football clubs are slowly starting to embrace live video broadcasting by using apps such as Periscope, Meerkat, or MyEye. This provides users with more accurate and detailed information of what is going on in the environment of those clubs, which bares the potential to tie even tighter knots with fans. Personally, I would like clubs to produce more conceptually creative formats other than simple behind the scenes footage from trainings, locker rooms (where allowed), or press conferences. I see the biggest potential in the possible interaction between the host of a broadcast and its followers. If a synthesis between ‘actuality sportv, reality sportv, and panel sportv’ can be achieved, and, in addition, the audience can be involved through the chat function of Periscope, it can be assumed that the broadcast would be of high value for the audience. In return, that would reflect on the brand of the producing club with positive sentiments on social media.